ATTENTION: Not getting as much done as you should? 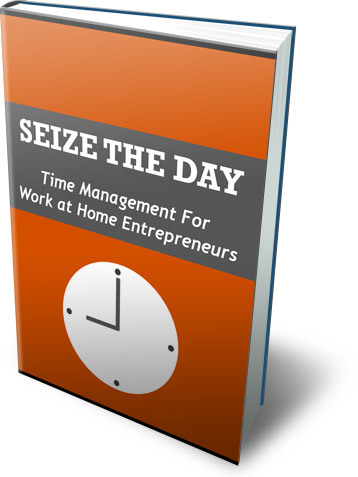 "Discover How The Secrets of How Successful Entrepreneurs Get A Lot Done Throughout Their Day And How You Can Too..."
This Is The Essential Guide To Time Management For Work At Home Entrepreneurs! You look at the time it's already 3 P.M. Glance over your to-do list and see that nothing's been crossed out! You procrastinate. Wonder. Browse the 'net feeling like just because you're looking around you're moving your business forward. 90% of your time is probably going to waste! Most people imagine that working from home is a casual affair that should not be treated with seriousness. 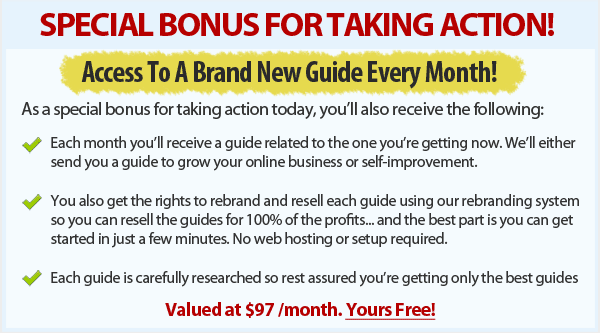 However, if you are thinking about venturing into any form of home business, you have to acknowledge the fact that it requires as much seriousness as any other business. Time management is so important because as an entrepreneur, you need to stay organized and plan the day so you don't end up staring at the wall. But how do you go from procrastinating to having laser focus? I created a special guide to help you in getting more done...A LOT MORE! 8 reasons why time management is crucial to your success as an entrepreneur. 5 tactics to get as much done throughout your day. Top 7 productivity apps for your smartphone. How to create a schedule when working from home. How to stay accountable while working from home. How to use the 80/20 rule in your online business. How to find out when you are most productive to work. Are you a morning or night person? Follow this guide. Tactics for how to set a schedule for your work and sticking to it. How to create a work environment that encourages better work flow. How rewarding yourself for your efforts leads to getting more done. How to create an "activity log". You can own Seize The Daytoday for a mere $7.00.